Contact us now to be the first to try this NEW innovative All-Natural flavor! Ready to take volume orders. Released June 1st, 2012. Clean label - Contains no artificial additives and is produced exclusively from 100% lobster. 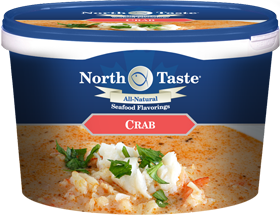 No spices, flavor enhances, preservatives or other substances are added, which means that NorthTaste Crab concentrate does not interfere with other ingredients in the recipe. 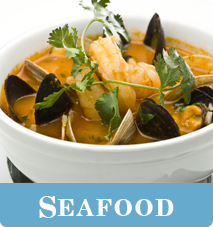 Crab concentrate is manufactured from frozen bodies of the North Atlantic Snow Crab. We recommend that our Crab concentrate be stored frozen, but if it is thawed in a refrigerator it should be stirred before use.